EDINBURG — Hidalgo County commissioners are weighing short-term vs. long-term drainage projects as they prepare to ask voters to allow the drainage district to go out for bonds ranging between $50 million and $120 million. Commissioners discussed the issue at length with Hidalgo County Drainage District General Manager Raul E. Sesin and the district’s financial adviser Noe Hinojosa during the commissioners meeting this week. The discussion comes on the heels of what Sesin described as a “catastrophic event” of “hurricane proportions without the winds” in June and another round of heavy rainfall Saturday. “We were spared because there was no wind damage that traditionally comes with a hurricane,” the district manager said of the recent June flooding that has now been declared a federal disaster. Sesin and commissioners dispelled the notion that the drainage system had reportedly malfunctioned because of human error, saying all of the gates the county operates were opened and closed following the rules of hydraulics. “We’re still accessing our system to provide a report as to how well it held up,” Sesin said. The district is also assigning teams to each county precinct to evaluate issues and implement an aggressive plan to look for solutions, Sesin added. Many of the homes in the communities of Elsa and La Villa were spared because of the improvements made to the system in those areas, Sesin said. “Traditionally we have reports that those areas get heavily inundated. It helped tremendously to have that system in place,” he told commissioners. 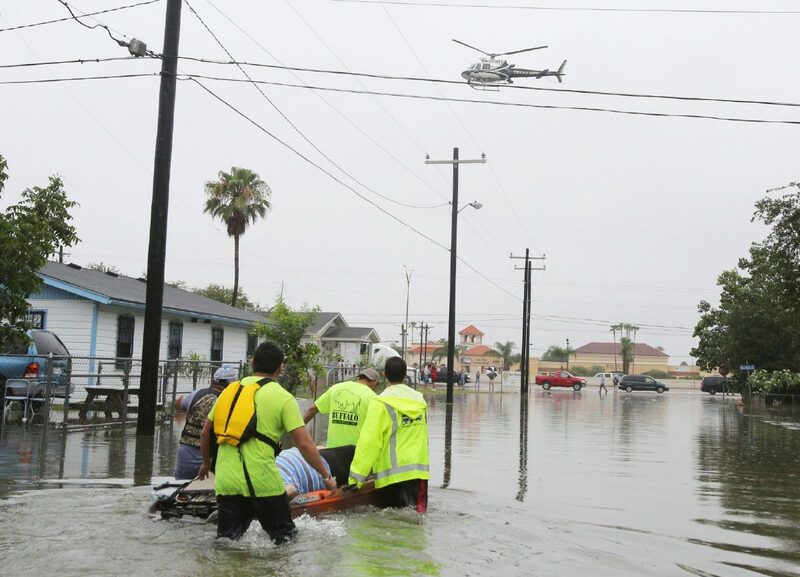 Still, there are homes in the Precinct 1 area that have been impacted by heavy rains time and time again, Commissioner David Fuentes said. Voters approved a $184 million bond in 2012 and about $84 million were sold, the district’s financial adviser said. The language in the bond order has become an issue. “Language challenges that we have in the actual order … make it cumbersome and difficult to sell,” Sesin said, suggesting the district do away with the remaining 2012 bonds and instead focus on new investments. But if the district wants to borrow more money, it has to move quickly. By state statute, the district must ask voters for approval to go out for bonds even if it doesn’t affect the tax rate. Hinojosa was referencing to the district’s short-term projects, or immediate needs which include a number of improvements to the current system in the eastern portion of the county, versus long-term projects, such as the $400 million Raymondville Drain, which would alleviate flooding in the western and northern parts of the county. Investing in the Raymondville Drain, a long-term project more than 30 years in the making, has one big advantage: the federal government would return between 70 to 75 percent of the local investment. But borrowing more than $50 million will require a tax rate increase, Hinojosa warned. Both moves would require voter approval. Currently, the district levies 9.5 cents per every $100 valuation. It spends five of those pennies on running operations and another 4 cents to pay its debt, Hinojosa said. The financial adviser said he would not recommend the board issue a bond for just one project, such as the Raymondville Drain. Either way, the district cannot move forward without the consent of the county’s residents.